The well-established technique in our ZIPPEL ZK Series (Chamber Systems) provides a cost-effective, technically mature solution for small quantities. 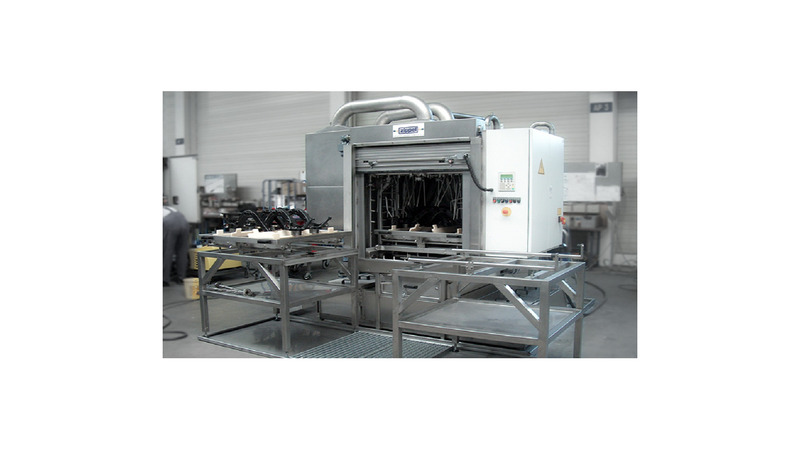 This single chamber system with several cleaning tanks and integrated spray cleaning system offers a wide range of cleaning processes for a relatively low quantity of pieces. A multi-chamber system can be used instead of a single chamber system in order to reduce the design-related problems with throughput times.